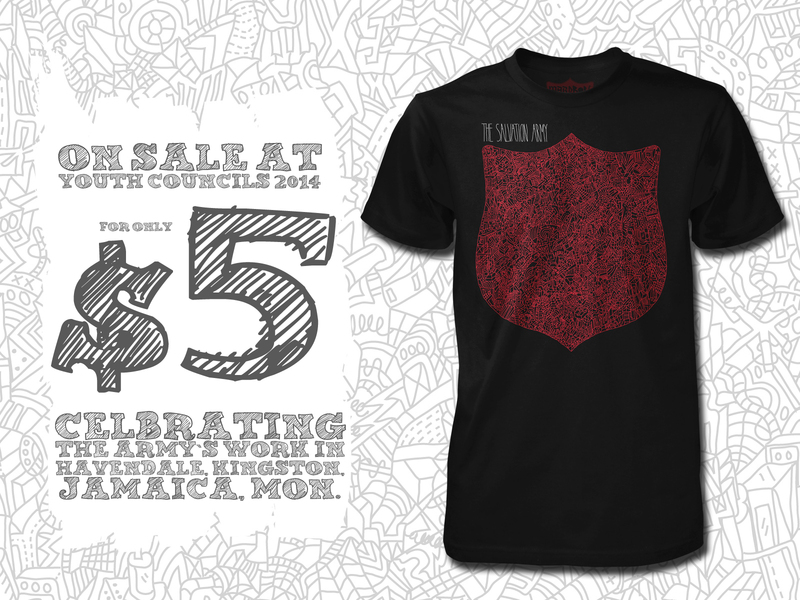 Get details on the Youth Councils 2014 T-Shirt and fundraiser | Metro Youth Network | Connect. Experience. Grow. For a few years now at Youth Councils, instead of giving a shirt away for free, we’ve been selling them and giving the money away to a Salvation Army ministry that we want to celebrate and ensure that their ministry keeps on keepin on. This year will be no different, but, at the same time, will be VERY different. Let me explain. We’re going to raise money for the Army’s Havendale Compound in Kingston, Jamaica. There is so much going on at this place, and their ministry is vital. Here are just a few of the things on this compound: 1 Corps, 1 orphanage (called The Nest), 1 school for the blind and visually impaired (which operates as a boarding school and day school), 1 home for retired officers and other older adults, 1 College for Officer Training. Yeah. Like I said, it’s A LOT. We want to celebrate all of the things God is doing there. Shirts will be on sale throughout Youth Councils for $5, and 100% of the proceeds will be going to the Havendale compound. Here’s how it’s going to be very different. For the very first time, Youth Councils 2014 will be hosting a team from the partner country (Jamaica in this case). In other words, you’ll be able to meet the people you’re partnering with in buying a shirt. You’ll get to hang out with them, get to know their story, and encourage one another face to face. HOW COOL IS THAT? The shirt itself comes to us courtesy of the good folks at WARdrobe. The “Doodling the Most Good” tee comes from UK artist Olly Gibbs. He takes his “doodling” seriously and has created a seriously awesome shirt. Using his highly detailed doodles to comprise The Salvation Army Red Shield, the art is a constant reminder that we are we all small parts of the bigger picture. Printed with waterbase inks on a pre-shrunk super soft 100% ring-spun cotton, Black Anvil 980.